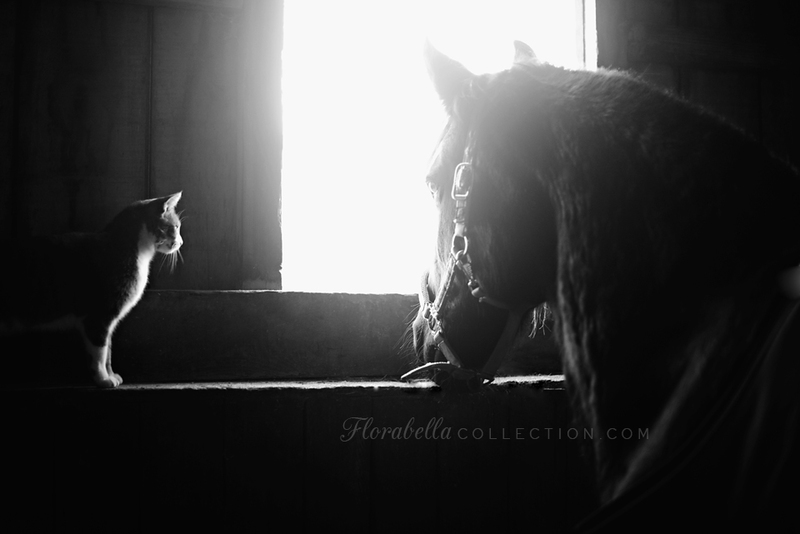 I have always loved horses and cats together. Where I kept my Tjhara there were a number of cats who hung out around the horses. There were a few times that I saw where one was curled up on Gingers back, an older Morgan mustang cross.. Ginger would be slowly grazing and the cat quietly kept her company. This is such a sweet photo and I just started reading your blog about this beautiful horse. My heart is so sad for her. I want to just give her a big hug. God bless you and your family for taking her in. I can't wait to see pictures of her healthy again. Abigail will no doubt do her part in the healing process! Animals are so full of quiet wisdom and magic! THANK YOU so much for what you are doing for Willow - your love is EXACTLY the best medicine for her...and thank you for sharing - you are an inspiration!!! I will FOLLOW this blog RELIGIOUSLY!!! I'm happy to see Willow has a little kitty friend. Touching to see indeed. I just had the courage to read up on Willow's story to this point. Looking at the pictures was all I could do at the beginning. Days had to pass because my heart deeply misses my sweet Mustang, Max, as it is very hard for me to touch upon that place in my soul but perhaps through this story I might heal a bit too. My heart is going through all kinds of emotions with you and I pray each day brings more comfort for Willow, you, and the others whom Willow has touched. May God give you strength and the doctors the wisdom to help Willow as she heals. GORGEOUS, perfect image as usual, Shana! Love to you and Willow, I hope she's doing well.